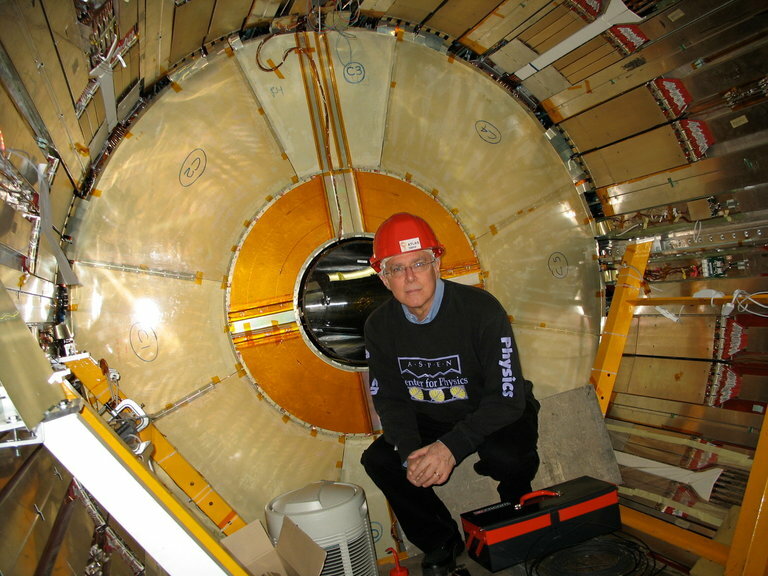 Dennis Overbye, a Times science reporter, inside the Large Hadron Collider in Switzerland. No image credit. Dennis Overbye, The New York Times’s cosmic affairs correspondent, has never owned a telescope. They were of little use in the cloudy environs of Mercer Island, Wash., where he grew up. Instead, his interest in science began, as it did for many who came of age immersed in the starward ambitions of the space age, with science fiction. There were the paperbacks by Arthur C. Clarke, Isaac Asimov and Robert Heinlein — “that whole crew who had imagined the future of the human race as I saw it now being played out by Sputnik and Apollo,” Mr. Overbye said. “I once compared the Milky Way galaxy to a piñata that the Kepler spacecraft had whacked and hundreds or thousands of new planets had fallen out,” Mr. Overbye said.